After a mass shooting occurs, the call for common sense gun control laws is amplified only to be drowned out by the rallying cry of the right-wing claiming that their right to bear arms, in any capacity, is a fundamental right; it is simply not feasible to ban guns; and mass shootings are merely collateral damage from exercising their constitutional right to bear arms. Lots of tweets and articles go viral; legislators send their thoughts and prayers; and the National Rifle Association (NRA) refrains from posting on social media until the discourse dies down. A few weeks later, everything goes back to being business as usual. While there are still developments that are reported, as a country we are all so burned out by the fact that there has been yet another mass shooting that, outside of learning about the victims and their stories, details about the shooter and his reason for acting become useless pieces of a puzzle that we’ve long neglected. The gun control debate these days is more performative than anything. There are so many questions in the gun control debate that are often asked but seldom answered by either Congress, the NRA, or the people that continue to vote these elected officials into office. Who else needs to be murdered before we collectively decide that enough is enough and we need stronger gun control laws? Why were the twenty children murdered at Sandy Hook Elementary not enough? Why were the mass murders committed at Columbine, Virginia Tech, Pulse Nightclub, Emanuel African Methodist Episcopal Church, and First Baptist Church not enough? Why is it that every time the shooter is not white their community is forced to apologize on their behalf, yet when the shooter is a white man they are a lone wolf that is mentally ill? How many lone wolves does it take to make a pack? If the right to bear arms is a fundamental right every American should have then why were Tamir Rice and John Crawford III executed for carrying toy bb guns in open carry states? Change might make people feel good,but it wouldn’t protect Americans. Dudley Brown, President of the National Association for Gun Rights (NAGR) believes that, “…short of a total ban on firearms, nothing being suggested would have stopped this kind of [mass] shooting.” (Edwards, 2017). This rhetoric does nothing more than once again change the narrative from the sensible measures that can be taken to avoid mass shootings from happening again to one of gun owners waking up one day and finding that their guns are being confiscated. This country has a great talent in completely altering the narrative of a controversial topic so that instead of actually having an open and honest conversation about the issue at hand, they answer and address sub-issues that are not even on the table. I am not for banning guns. I do support the right to bear arms. But when a right becomes an acute threat to the general welfare it is time for reevaluation (Brokaw, 2017). Gun control does not mean that all guns are going to be banned and that the government is going to come and take away your guns resulting in a country where only the police force and military are armed and civilians are unprotected. Surprisingly, there actually are laws whose effectiveness can be found in the low mass shooting rates in other developed nations. 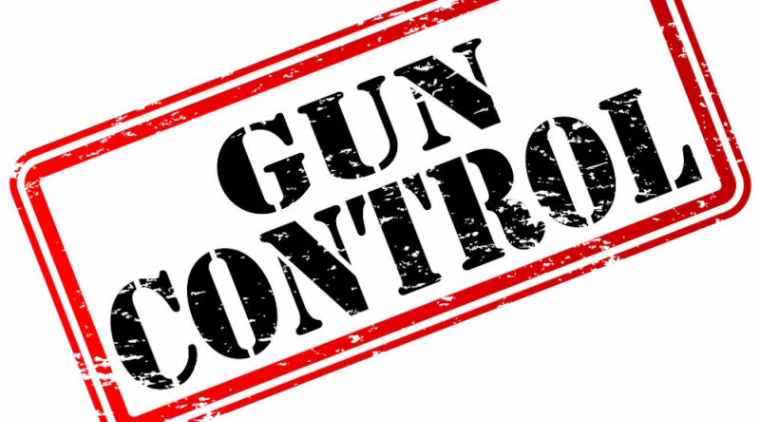 Universal background checks; having a stronger ban on assault rifles; requiring background checks on private gun sales; mandatory waiting period; and limiting ammunition magazines to 10-round capacity are all examples of gun control laws that just make sense to have. Hours after the shootings occurred in Nevada and Texas, respectively, there were tweets and statuses asking people to not politicize the victims’ deaths. I’m sorry, but if we live in a world where Starbucks’ holiday cups can be politicized I see no valid reason as to why senseless acts of violence cannot be politicized when it was lack of legislative action that led to the deaths in the first place. It is anomalous that in situations where mass casualties were caused by a non-white person, there is no similar call to refrain from politicizing the tragedy. It is perplexing that there is an unspoken litmus test of white victim-hood that needs to be passed before the collective murmurs about the need for more gun control become an outcry. Instead, before all the facts are known, the incident is referred to as an act of terror, politicians use it as further proof for the need for isolationist laws by way of visa bans and travel restrictions. If we do not want onerous regulations to infringe on a tradition we love, then we cannot afford to stay quiet as body counts rise and politicians offer no more than thoughts and prayers (McCaulou, 2017). Thoughts and prayers are not bullet proof, and the money politicians accept from the NRA in exchange for refusing to engage in any aspect of reforming gun legislation, is soaked in blood. It is important to remember that when mass shootings happen, we often rank them based on the number of casualties and the injured become an afterthought. Rarely are the insurmountable medical bills, rehabilitation, and additional therapy victims face discussed. In Las Vegas, over 400 people were injured. More than 100,000 people are shot every year in the United States, according to the Centers for Disease Control and Prevention. Gun violence generates about $2.8 billion per year in emergency room and inpatient charges alone (McCaulou, 2017). The average emergency room bill for an individual gunshot victim is $5,254 and the average inpatient charge is $95,887 (McCaulou, 2017). Countless studies have been shown that most citizens are one medical emergency away from bankruptcy. Moreover, it is not far fetched to believe that among those several hundred injured, between the unplanned time off for recovery and the hospital stay, victims are now in a state of substantial financial hardship. If we are going to continue down the road of self-imposed paralysis on gun control and regard each shooting as an unavoidable tragedy, then health care needs to be universal, it needs to be affordable, and it needs to happen now. If we’re going to continue using mental illness as a scapegoat for the rationale behind mass shootings, then we need to try harder to make sure that the appropriate programs are funded and social safety nets are not systematically gutted. If now is not the time to get serious about gun control, then when? Is the appropriate time to discuss gun control after a person walks into a church and kills roughly 4% of that town’s population? Because that was last week and yet we’re still at a stalemate, which is unfortunate since it is becoming more and more apparent that all lives don’t matter. “Don’t Let the Gun Extremists Control Our Democracy.” The Progressive Cynic, 28 Oct. 2013, theprogressivecynic.com/2013/10/28/dont-let-the-gun-extremists-control-our-democracy/.